Gingham and Stripes in monochrome and brights as well as pastel shades are a massive trend this season. You can look fabulous in these feminine versatile pieces!! 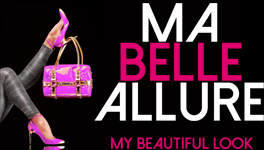 Hello, I’m Simone Parker from Ma Belle Allure. Thanks for dropping by. 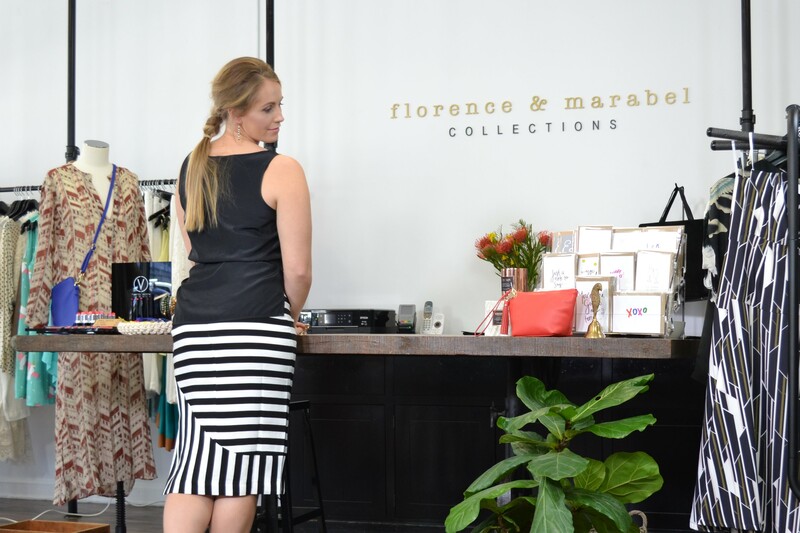 Once again, I have collaborated with Toowoomba boutique, Florence and Marabel to show you how to wear stripes and gingham – a great wearable fashion trend for Spring 2016. This flattering black and white gingham dress is so on-trend. The neckline on this dress is flattering for a smaller bust. Also the cuffed kimono sleeves give some coverage to your upper arms – something that a lot of women prefer. The neckline and sleeve also draws the eye to your upper body which is perfect if you want to draw attention away from your lower body. The scooped hemline adds to the casual appeal of this dress. If you need a bit more coverage you can always add a pair of leggings. Team it with a belt if you want to create some curves. You can have some fun with the pattern of this dress and team it with a striped Espadrille – keep the look casual. As gorgeous as this dress looks for casual events, with a few clever styling tricks this fabulous little number can be worn to the races or an evening out. Add a pair of heels in the same colour as your belt. This just ties the look together. If you can’t wear heels there are a lot of really flattering lace-up sandals that would look great with this dress. Another popular fashion trend is the wide-brim, felt fedora. I have chosen a black fedora for Cara which looks fabulous with her blonde hair. Finally, you can add a pop of colour through your accessories. For most of us though, sticking with no more than three colours works best. So try adding a statement clutch or earrings. What a versatile addition this dress would be to your wardrobe. The second part of this trend is stripes – This striped skirt looks great on Gabby. If you are trying to camouflage anything on your upper body wearing a pattern on your lower body draws the eyes to your slim legs. Teaming this skirt with a plain coloured top is flattering and you can either wear the blouse loose if you want to disguise a tummy or add a belt to cinch in your waist to create or accentuate your curves. We have then added a heel to make you look taller. Wearing a closed in black boot or shoe can look great if your legs are long. But if you don’t have the legs of a super model they can make your legs appear shorter. So if you have fair skin tone and you want to wear black shoes try a pair that has thin black straps. They add length to your legs and make you look taller and thinner.